Valentine’s Day is right around the corner. It can be tough to find a great present every year, but don’t worry- we’re here to help. We have some special Valentine’s Matboards that you can order hassle free, and have a memorable, touching gift for the special someone in your life. 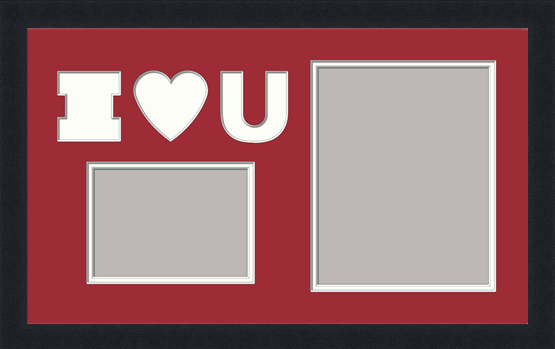 First, you can go with the wonderful “I Heart You” mats, with two openings for pictures. You have room for one photo of each of you, or for two of both of you. The example is in red, but we could certainly set up this mat in pink, or any other color you desire. And of course, all the Valentines Day Mat Designs are acid free conservation mats so that will last for the long haul, just like your love. Speaking of pink, here’s another fun design. 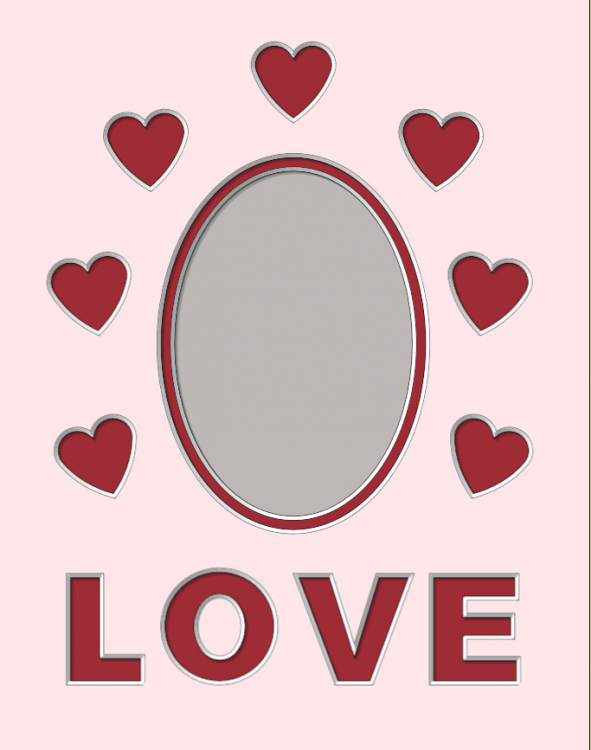 With the simple message “Love” along the bottom and a perimeter of small hearts, this design is more flexible. 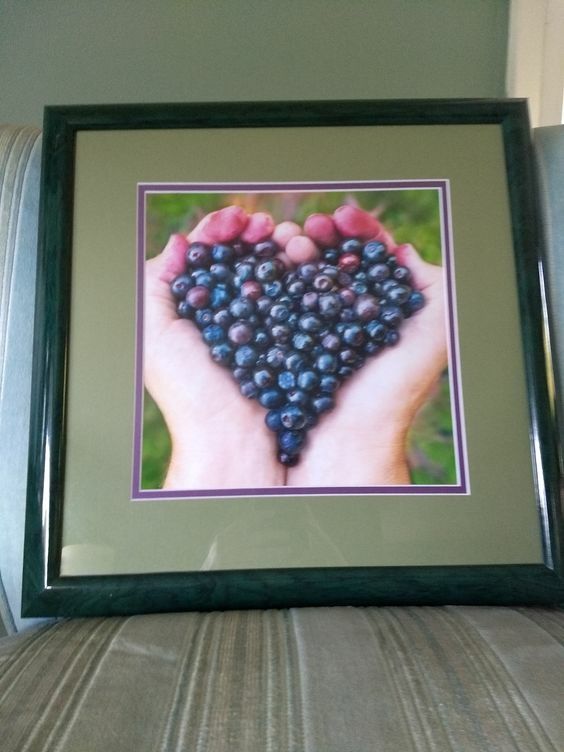 If you need anniversary presents for your parents or other relatives, something like this would be lovely. Or, if you wanted something a little sillier, put a picture of yourself with your dog in the middle, a tiny doggy pictures in all the hearts! Of course, if these designs don’t speak to you, you can always order your own custom mat. The couple in the picture above had their own ideas about what they wanted. 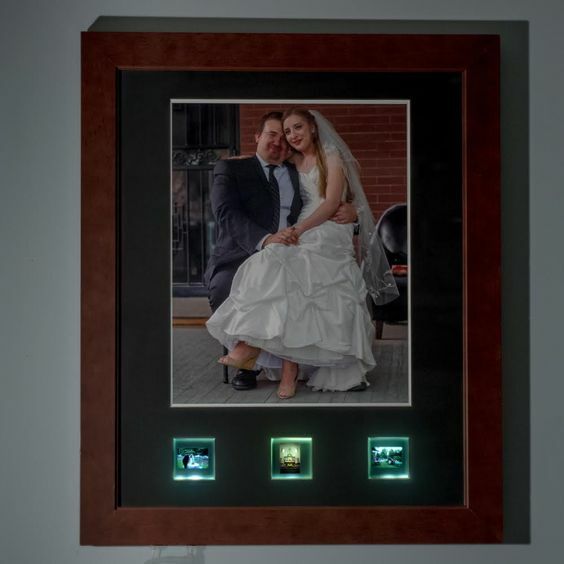 So, they got in touch with us and worked up a design that is the perfect way for them to remember their special day. Or, if that’s not your style, you can always find a fun or interesting bit of artwork to go in a more standard mat and frame. This piece from one of our customers make me smile and are the sort of thing I wouldn’t mind getting. Hopefully with a card that says “I Love You Berry Much.” So, whatever you’re looking or, we can help!